As NYK continues to evolve its corporate strategy through the merger of its container business, it has encountered a series of smaller, but still significant problems. One of these is issues with fraud at a finished vehicle subsidiary in China, where it appears that the local Chinese staff had been engaged in some form of corruption. 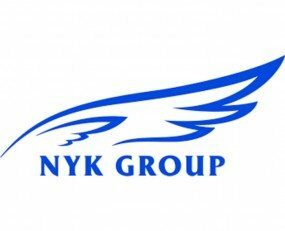 A statement released by NYK last week said that “former locally-hired management personnel in NYK Car Carrier (China) Co., Ltd . . . had committed unlawful expenditure or embezzlement”. The sums involved appear to be moderate, with the company stating it estimates the loss to be in the region of ¥2bn (US$18m), but it is of sufficient significance that NYK is considering delaying the publication of its quarterly results. An investigatory committee has been set up by NYK but the company has not elaborated on the nature of the alleged wrongdoing. The other problem that NYK is suffering from is better understood but of greater financial impact. It is reported by Reuters that the European Union has finally settled on a fine for the car-carriers which it accused of price fixing. This investigation has been continuing for over five years and revolves around different prices charged for passenger car manufacturers and other types of customers such as construction vehicle manufacturers. A number of the large shipping companies that dominate the trade have been fined by various national regulators however the EU fine may be at the larger end of the scale due to the magnitude of the vehicle trades in and out of Europe. It might be expected to be in the range of tens of millions of US dollars, with the US already having imposed this sort of number on the leading players. It appears likely that the problems in China are simply bad luck with no indications of systemic management failings at this point. However, NYK must be careful. The car carrier business is one of NYK’s most valuable businesses, not least because it is a leader in the market. China is a vital market for NYK’s car carrier business and one where it has invested heavily. As the price-fixing case illustrates, relationships with passenger car manufacturers are both of vital importance and difficult to manage. It cannot afford to lose their confidence.